There are many types of microphones. Practically for each purpose, there is a separate device. 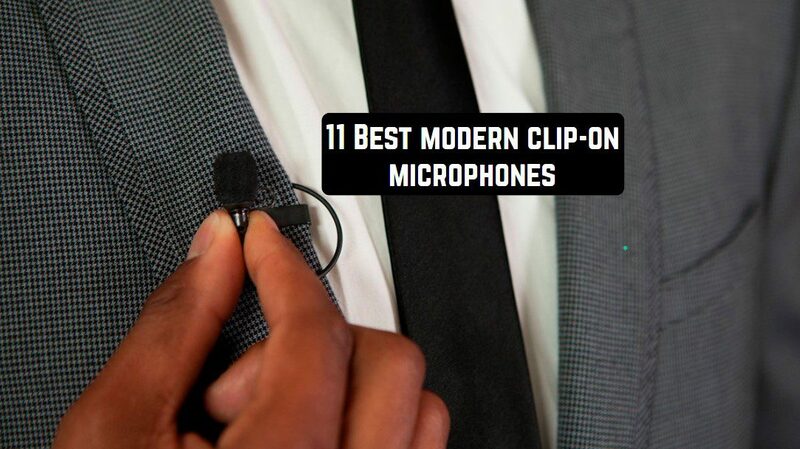 The essence of the clip-on microphone is to record one specific voice and filter out all others. They are often used on television, various training courses, presentations or in the theater. In most cases, they are attached to clothes, so clips are often present in the microphone set. 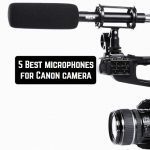 In order not to be mistaken in the choice of the lavalier microphone, we suggest getting acquainted with our top of the best modern clip-on microphones. The rating was based on tests, reviews. We have identified different types: from microphones for smartphones to professional buttonholes. Based on tests by experts, the Boya clip-on is considered one of the best in terms of price and quality. It can not be attributed to professional equipment, but for those who are just starting, this is the best option. 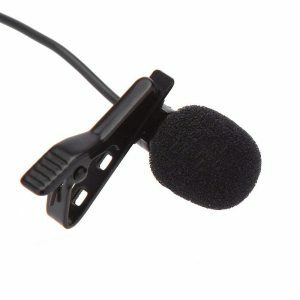 This clip-on microphone is suitable for recording video blogs, various podcasts, presentations, and so on. Everything is focused on recording one person. The main advantage over all other lavalier microphones is the versatility of the Boya BY-M1. It is suitable for video cameras, and for special recording equipment, for smartphones. And while the model does not require additional adapters. Therefore, in order to switch to another mode, you only need to press a special lever. According to its type of condenser microphone, it has a circular orientation. It operates in the frequency range from 65 Hz to 18 kHz. The microphone itself weighs only 2.5 grams, the power supply for working with the camera is 18 grams. Pleases the length of the wire – 6 meters. The device itself is mounted with a special clothespin. 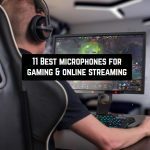 Many bloggers, as regular users, recommend this mic in their reviews. By its skills and characteristics, the model is similar to the leader of the rating Boya BY-M1. Some even call them twins. But if you look closely, you can see a lot of differences, which show that the clip-on mic from Audio-Technica is worthy of attention. The price is average, it can be called neither high nor low. 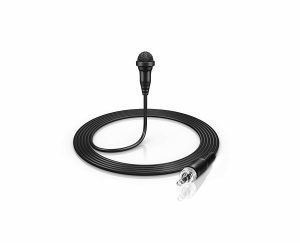 The ATR3350 is one of the best lavalier microphones in the middle segment. It records in such a way that there is almost no extraneous sounds or noise. Therefore, in the future, only minimal processing may be required. Condenser and omnidirectional microphone. This will allow less time to tune. First of all, it is designed for video cameras. But, if you buy a special adapter, you can use it with a tablet and a smartphone. There is even a lever to switch between modes. The operating frequency is from 50 Hz to 18 kHz. The weight of the microphone without power is 6 grams. In the presence of a cord of 6 meters, you can safely work with the camera from a distance. Powered by a microphone battery LR44. Buyers in the reviews say that there is no special battery indicator that interferes with use. Sennheiser is a famous German brand that boasts the high quality of its products, its reliability. The only obvious disadvantage is the price. In most cases, it can be twice as high as that of similar, but less well-known models. On the other hand, for this money, you get a professional microphone, which is considered one of the best in quality. It is difficult to find a worthy competitor in the market for a Sennheiser clip-on. It is important to know that it was originally designed for its own Sennheiser system, therefore it has a non-standard plug. It may fall out of the nest when using the non-native equipment. 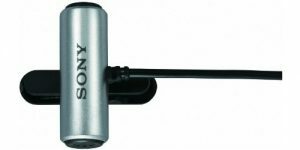 But, if you want high-quality sound for the reasonable money, or you work with the same German system – this is an option. The model records in a fairly wide range from 30 Hz to 20 kHz. The microphone is sensitive, circular orientation. It works at a voltage of 7.5 V. The kit includes a 1.6 meter cord, but the main communication channel is wireless. Mounted on the clip. We must not forget that Sennheiser ME 2-US is a professional clip-on, therefore phantom power is necessary for its correct operation. Most reviews note that the model also works with high-quality equipment of different brands, the main thing is to follow the plug. When we talk about the king among professional clip-on microphones, you can safely remember Rode LAVALIER. You will not be able to find his flaws, from which side you would not look. It can rightly be considered one of the best, but from the TOP-3 it was forced out by more successful and universal competitors. The only thing that can confuse is the price. Compared to other models, it is high. But the microphone level is different. There is nothing that it cannot do. With it, you can safely go and perform at a concert, conduct shows, make films. This is a real professional clip-on. There is no such nuance, which it did not take into account. The microphone has a low level of intrinsic noise, so the recording is clearer. It has a detachable MiCon system and is equipped with a pop filter that protects against moisture and excessive noise. The model works with a frequency from 60 Hz to 18 kHz. It is made of stainless steel and weighs only 1 gram, while others weigh from 5 grams. By type of microphone condenser, omnidirectional. It combines compactness and excellent sound. For beginners, this option is not suitable. 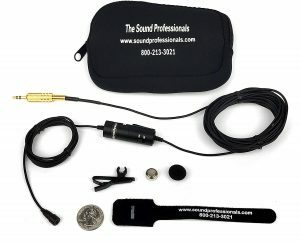 But if you need super-high-quality audio, then this is Rode LAVALIER. Sennheiser has long proved that they are the main experts in crystal clear sound. The peculiarity of their products is that it works best with their own audio systems. But this is not a feature of all models: the plug of the Sennheiser ME 4-N is universal, which means it fits any equipment. The exception only for tablets and smartphones, there will need an additional adapter. Buyers in reviews often say that Sennheiser ME 4-N is so small in size and weight that sometimes you can just forget that it is. With a clip, it is conveniently attached to clothing. The quality of the Sennheiser ME 4-N lavalier microphone is so high that you can record vocals on it. It is best to combine the model with the Evolution system. When there is still doubt, you need to look at the characteristics. Condenser and cardioid microphone. This means that for its high-quality work a certain direction is necessary. At first glance, this is not very convenient and takes more time, but at the expense of such a feature, the sound is an order of magnitude better. Operating range from 60 Hz to 18 kHz with good sensitivity and sound. Mobile networks are evolving, and the video or photo from the phones no longer seems like a bad joke. Many bloggers prefer to use not professional cameras for recording, but smartphones. Working with them is quite simple and you can immediately make processing. The only and often main problem is sound. Because there are background noises, and built-in microphones can rarely allow high-quality sound, if not speak directly into them. 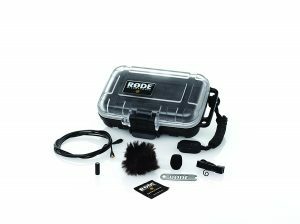 Therefore, for anyone who wants to make good recordings on mobile devices, we recommend this model. This is a lavalier microphone for iOS and Android systems. It should not be used with other equipment, but it will be the best addition for phones. Because it is made in such a way that on smartphones the sound is transmitted qualitatively and clearly, almost at a professional level. The case is covered with a special polyurethane sheath, which will make it more resistant to various damages. Therefore, in their reviews, many travel bloggers recommend this particular microphone. It is not only good for writing but also strong and reliable. The device works in the range from 30 Hz to 18 kHz. At first glance, it may seem strange that a good lavalier microphone is from Australia. The secret is that the company was originally from Sweden, but then it migrated to another part of the hemisphere. It was Rode that took one of the leading places in the production of microphones. Rode SmartLav + is special because this model is designed specifically for working with phones and tablets. In iOS, there is even a special application for their joint operation. This model has a younger version of the Rode SmartLav, but when choosing, it must be remembered that it works much worse than a fellow. Therefore, you need to carefully watch which option you purchase. This clip-on also works with cameras and camcorders, but you need to buy a special adapter. The sound quality when connected to any device does not deteriorate. Rode SmartLav + allows you to record a deeper and richer sound without unnecessary noise. This is a circular condenser microphone. A wire is connected to it. Weight is 6 grams, the model is attached to a clip. Operating range is from 20 Hz to 20 kHz. In reviews, customers consider it one of the best microphones. Chinese companies are gradually taking a leading position. In quality, they are slightly inferior to European brands. But their price, at the same time, looks a little nicer. MIPRO specialize in audio technology. This is a kind of Sennheiser analog in Asia. MIPRO MU-55L – the combination of quality and good price. 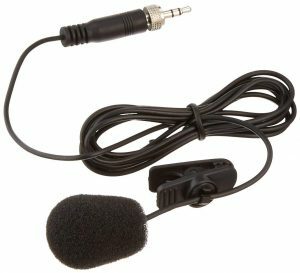 A Chinese lavalier microphone is well suited for presentations, such as conducting courses or presentations. It can also be used in the theater so that the actors can be heard better. By itself, the microphone is made concisely, so it will not attract too much attention. Convenient fasteners will make use more convenient. It weighs 19 grams, but it is almost imperceptible. The model works in the frequency range from 50 Hz to 18 kHz. It is important to note that the connector is either TA4F or mini XLR. Therefore, we must choose carefully or buy an adapter. Cable length – 1.5 meters. In the reviews, customers note that the sound is smooth enough, and the recording is as natural as possible. Recommended for those who do not have enough cheap loops and want to go to a new level, but there is no desire to spend extra money on the optimal sound. Today you can shoot almost anything: on your phone, tablet, camera, etc. But for those who need to remove something unusual or extreme, GoPro is best suited. Working with this camera is not difficult, the only problem is sound. In order not to encounter it, we recommend using a Boya BY-GM10 lavalier microphone. It is designed specifically for working with action cameras. If you plan to shoot for something from the GoPro series, then you should not spend money on an expensive buttonhole, it is better to buy a specialized one. It is not so expensive, but it works no worse since it was designed specifically for this. Specifically, this microphone is a condenser microphone, it works in frequencies from 35 Hz to 20 kHz. Buyers in reviews say that they tried to use it with other equipment, it worked, but the quality was average. Therefore, we recommend using it only for its intended purpose. Wire length – 2.8 meters. There is a special nozzle that removes unnecessary interference from the wind. Also, this clip-on is designed to record weak sounds. Therefore, it is best for GoPro at a reasonable price. Here is another option. Do not assume that it will be much cheaper solutions, for example, from Audio-Technica; in fact, you will be able to save only a few dollars. This device is equipped with an electret condenser microphone. Yes, this is a slightly different solution than in other cases, but still, it does an excellent job with its tasks. Its sensitivity is omnidirectional, it is very well assembled. This gadget is one of the best in terms of sensitivity and overall layout, so be sure you will enjoy the end result. To get the maximum, it is worth keeping it far enough away from the face (mount around the chest is recommended). Many users say they use it with a portable audio recorder and can simply synchronize audio with post-production. This is a wireless solution, and at the same time is very affordable for the price. This is a “look from the other side”. 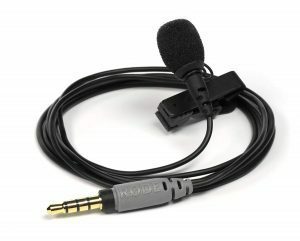 This is a very inexpensive and good solution for those who are looking for a wireless clip-on microphone, but at the same time wants to save some money (we are talking about Pyle Pro). It is not worth the crazy money, as Sennheiser of the previously listed. But it is a very worthy copy among inexpensive solutions. You get a kit from a transmitter with a clip and a battery. Work range – 10 meters. Also among the features can be noted the volume control on the transmitter. 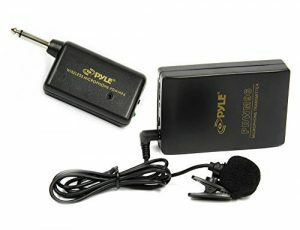 Take the Pyle Pro PDWM96 microphone if you need a simple wireless solution. Small and high-quality clip-on microphones are almost invisible. The lapel microphone looks simple: it has a head and a mount. The main part of the device is a capacitor, according to its technology, it works like a professional studio microphone. But the quality of the recording will vary depending on the characteristics and price. 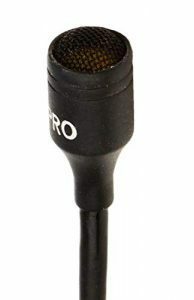 The clip-on mic is divided into wired and radio. The second is more expensive than the first, but they do not need to be at close range when recording. It is important to remember that the wider the range of frequencies, the better and deeper the sound. On sale, there are hundreds of clip-on patterns that have different amplitudes of the audio signal, tonal balance, etc. Some models are equipped with protective caps and covers. When choosing a lavalier device for working with a video camera, camera, phone or computer, make sure that there is a 3.5 mm input on the device. At the same time, the input on the phone and on the photo/video camera is different, because the connector on the smartphone is used as an audio output for headphones. To ensure the operation of the buttonhole on all devices, you can buy an adapter with TRS or TPRS connectors. It is better to initially pick up a universal microphone-buttonhole, which will work with smartphones and video cameras without various adapters. 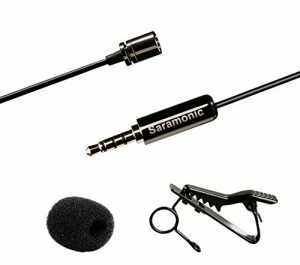 Well, if the device package includes not only a clip for mounting but also protection from wind, extraneous noise; this will positively affect the recording quality. The length of the cord can also matter – choose depending on the situation because in some cases, it is convenient if the cable is short. Pay attention to the frequency range, which the wider the better. No less important are the dimensions and weight of the device. The smaller the two values, the better, otherwise the device will stand out strongly on clothing. If the wired version does not suit you. unable to provide mobility, then select a radio tab with a transmitter. In this case, it is important that the battery of the lavalier serves as long as possible, otherwise, the microphone will stop working at the most inopportune moment. In addition, the frequent purchase of batteries will lead to considerable expenses.